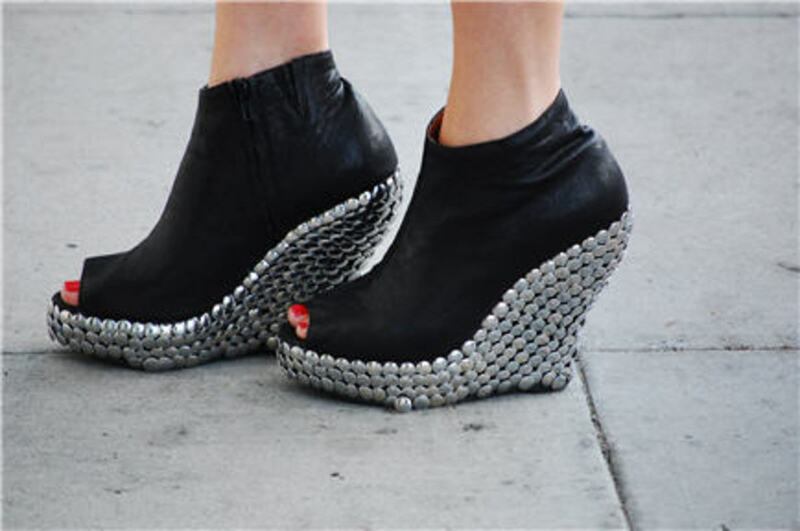 My impulsive nature was validated yesterday when I ran out the door to buy these Jeffrey Campbell studded platforms, moments after I saw Karen rocking them on her blog. They&apos;re officially the edgiest heels in my closet and I love how they can seemingly transform into booties when worn with black tights. They&apos;re a nice complement to a feminine lace dress and my new purse, which I&apos;ve been obsessing over ever since it arrived last week. I had never embraced animal prints prior to seeing this bag, but with its supple calf hair and gold chains, Coach has created a true masterpiece.